Improve your coordination and stamina with the fast Everlast Speed Rope at an affordable price. 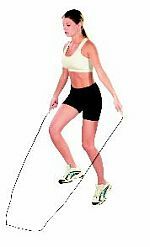 The Everlast skipping rope is available in different colours and is delivered in a practical box. Works well for me - liked the box. It keeps the product tidy. Für einen kleinen Preis ein funktionierendes Springseil. Tiptop.